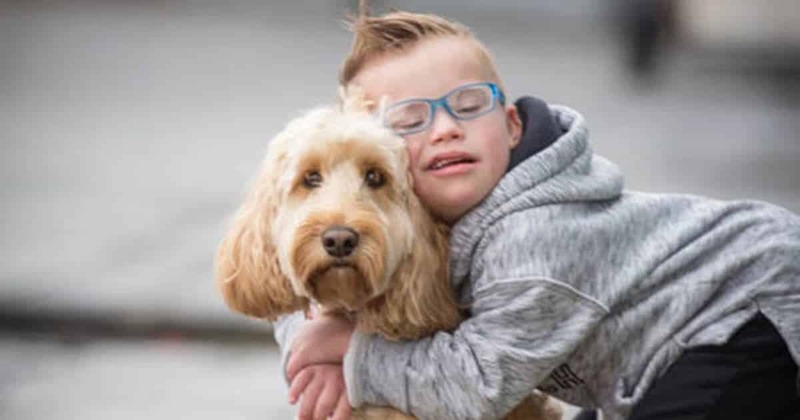 Teddy the cockapoo came to the rescue of 5 year old Riley as he was sent spinning inside the family dryer. Riley Gedge-Duffy, who has Down’s Syndrome, was going to die. He had climbed into the dryer and shut the door. Then the machine started a cycle. Teddy immediately knew something was wrong, and so started a commotion. Barking, growling, and dashing up the stairs, he alerted Riley’s mother Gillian that he was in danger. Mrs. Gedge-Duffy said: “We immediately started looking for Riley and it was our eldest son Freddie who spotted Riley’s iPad in the tumble dryer through the glass door. Just then, Riley’s father Aaron arrived home. He helped rinse Riley in cold water to minimize the burns. Rushed to the hospital, Riley was treated for burns as well as being x-rayed and having a CT scan to ensure he had no other injuries. He made a full recovery. Riley owes his life to Teddy, says his father. 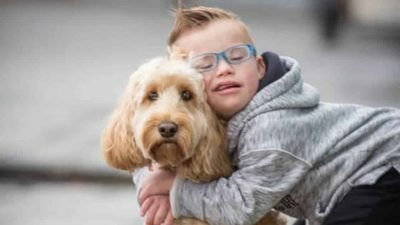 Riley’s mother said: “Teddy has always been a special dog – she’s very intelligent, attentive and she loves the children, but I am totally in awe of how she acted that day. Teddy was honored by the veterinary charity PDSA with the PDSA Gold Medal. This award is given to civilian animals for life-saving bravery and devotion to duty. This medal is recognized as the animal equivalent to the George Cross and has only been awarded to 26 other dogs. 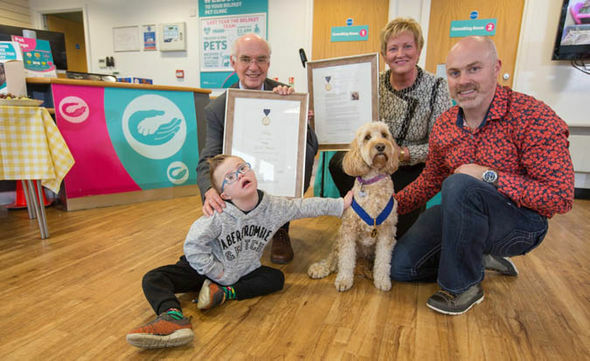 Presenting the PDSA Gold Medal, the charity’s director general Jan McLoughlin said: “Had it not been for Teddy’s actions, the incident could have proved fatal for Riley.